Asset-based community development (ABCD) is a large and growing movement that considers local assets as the primary building blocks of community development, social capital, and health and well-being. 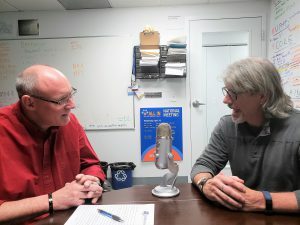 Ron Dwyer-Voss, MA, the Owner of Pacific Community Solutions, who also happens to be a long-time friend of podcast host Peter Eckart, joined the show to discuss how ABCD draws on existing strengths of local residents, associations, and institutions to build stronger, healthier, and more sustainable communities. He shared strategies, tools, and examples of how ABCD can be used to engage community residents and support them in understanding and applying their power to improve their neighborhoods.